A car battery is one of the most vital components of your vehicle. Without a healthy battery, your car won’t start, or you will be at the risk of being stranded on the road. Maintaining your battery’s health is essential to keep your car running at its best condition. 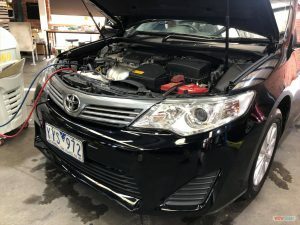 At PMA Auto Works, we provide car battery repair and maintenance to our customers across Ringwood, Nunawading, Doncaster, Burwood & surrounding suburbs. We will perform a thorough inspection to make sure that your battery is operating at its optimal efficiency. If we find out that the replacement is necessary, we will do whatever it takes to get you back on the road as soon as possible. If you notice any of these battery warning signs, bring your vehicle to PMA Auto Works for an inspection or replacement. At PMA Auto Works, we perform car battery testing to identify the problem and come up with a perfect solution to solve it right away. Whether your battery is dying or dead, having wiring or alternator issues, our mechanics will get to the root of the problem. If we find out that the problem is your battery, we will carry out the necessary repairs to get you back on the road as quickly as possible. 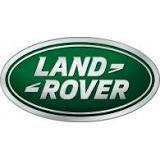 If the battery’s condition is beyond repairable, we will recommend replacement, ensuring a permanent solution. Though cleaning the battery case, maintaining sufficient battery fluid and checking battery’s level regularly prevent damages to this part, scheduling the regular inspection is important to prolong the battery’s life. Whether you experience any problem with your vehicle or it’s time for a scheduled car service & repairs, call us at (03) 8838 0594 for an appointment today!